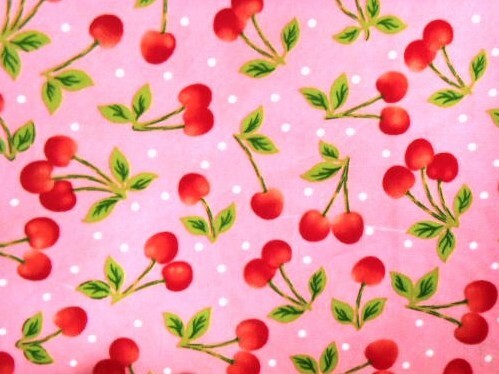 I have the delicious cherry printed shoes as mentioned in a previous post and have decided to make another dress to wear with them. I telephoned Fabricland to order some more of the Black background, Cherry printed fabric but “Oh no!” sadly this is out of stock until July! 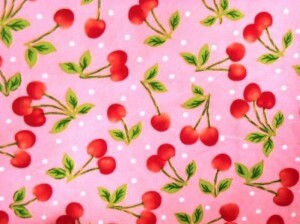 I quickly browsed the other cotton fabrics and settled upon Jubilee Cherries in Pink colourway. I have cut out the dress and have started stitching. This is yet another version of the 50’s style from McCalls 6438 with my own drafted sleeves which have a shaped hemline to echo the shaping of the collar. I have a can-can petticoat in Red which will ensure that the dress is really “on trend”.